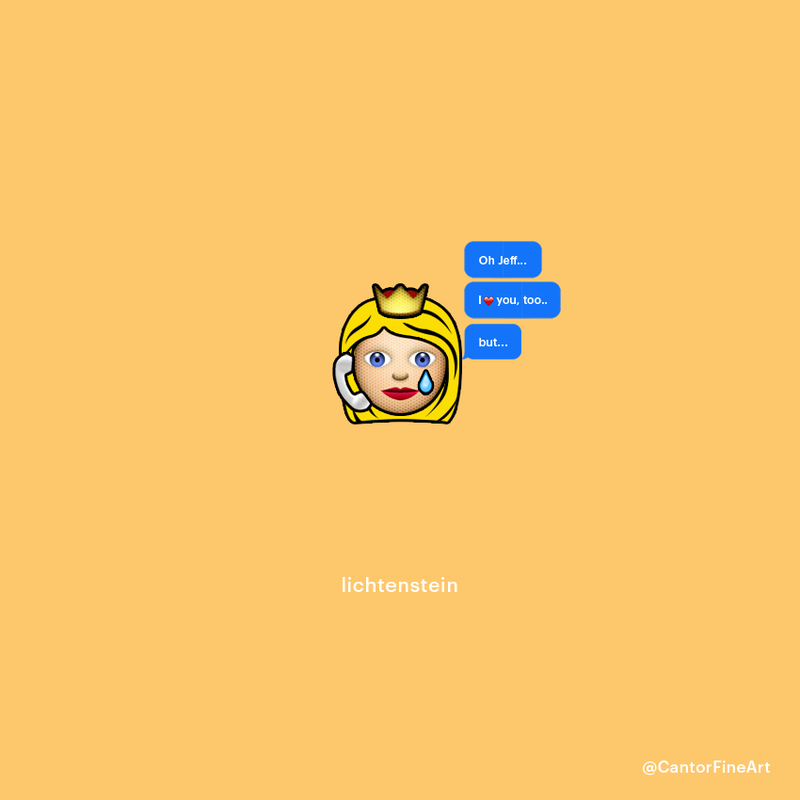 Art Emoji © Cantor Fine Art, Los Angeles. From Kim Kardashian to Pokémon, everything’s turning into emojis these days —so why not fine art? 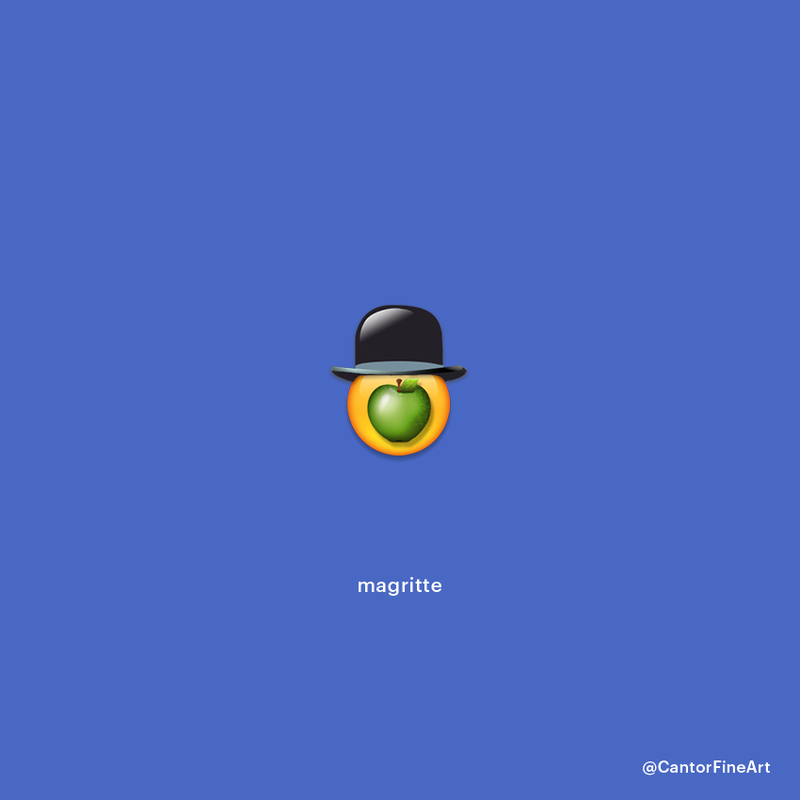 Los Angeles-based gallery Cantor Fine Art has released a series of emojis on their social media that are inspired by famous artists and artworks. 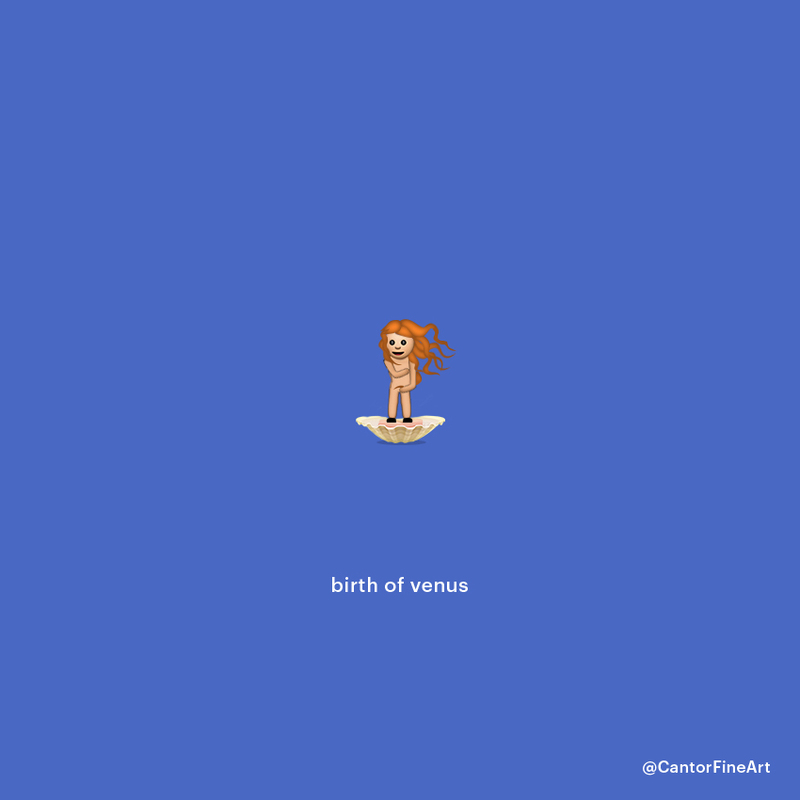 The emojis were made by Sam Cantor —an art director and designer who runs Cantor Fine Art with his father, Larry—last July, when he asked the gallery’s followers on social media about which artist or artwork they would like to see as an emoji, and then made it for them. What began as “a funny post or two” soon took off as a fully-fledged campaign, and as Sam told us, many companies have approached him with plans to turn his illustrations into actual keyboard emojis. From Frida to Basquiat, and Michelangelo to Kusama, these illustrations are so spot-on we just wish we could use them on chat every day! Sam is currently working on a new series of emojis, and he’s open to suggestions —so make sure you visit his Instagram account and write your emoji requests in the comments. 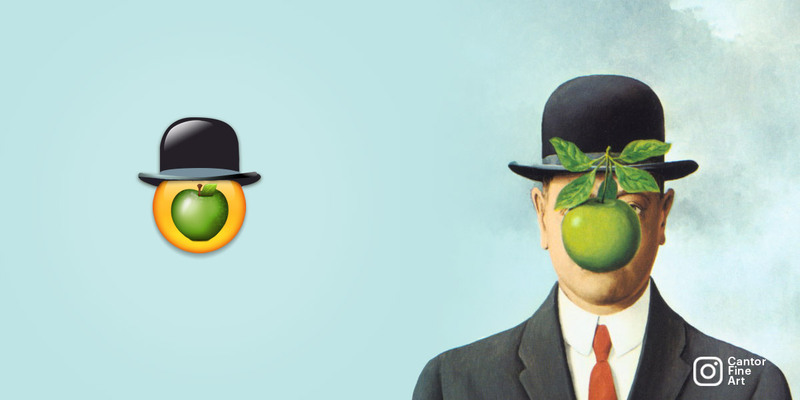 The Son of Man | René Magritte | Art Emoji © Cantor Fine Art, Los Angeles. Damien Hirst | Art Emoji © Cantor Fine Art, Los Angeles. 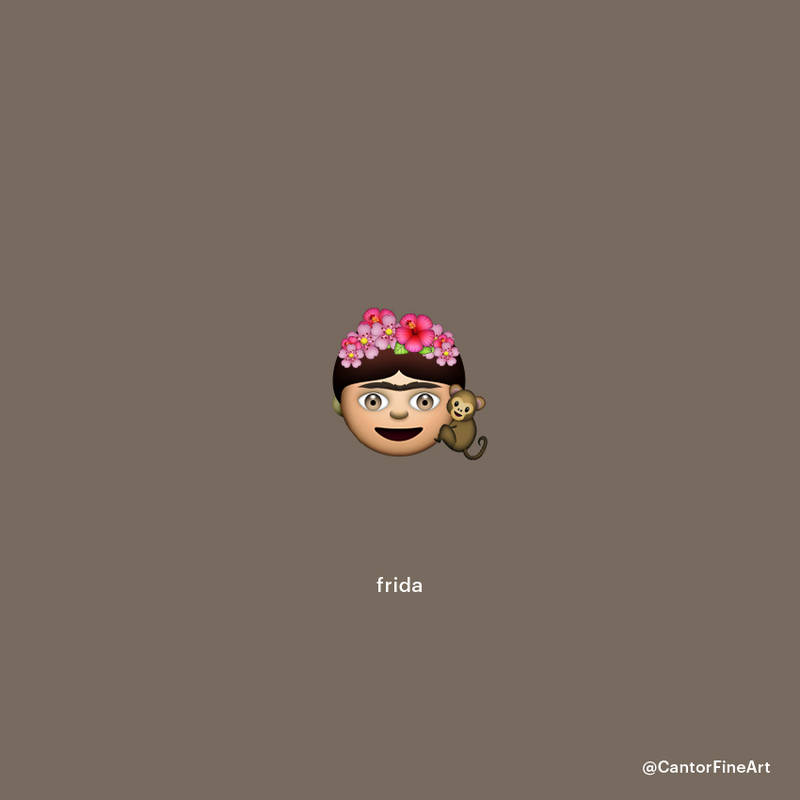 Frida Kahlo | Art Emoji © Cantor Fine Art, Los Angeles. 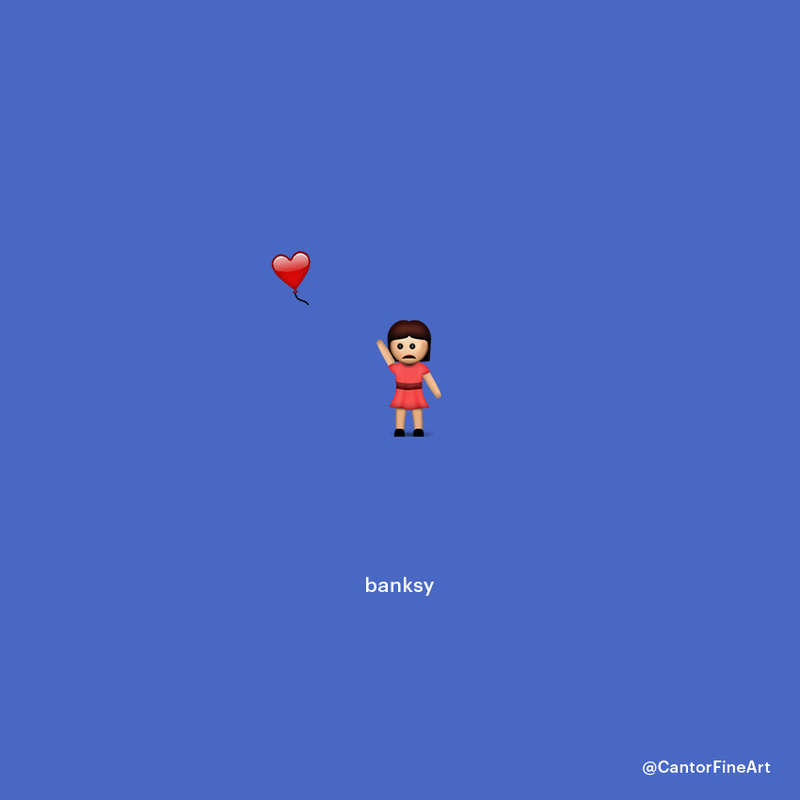 Girl With a Balloon | Banksy | Art Emoji © Cantor Fine Art, Los Angeles. 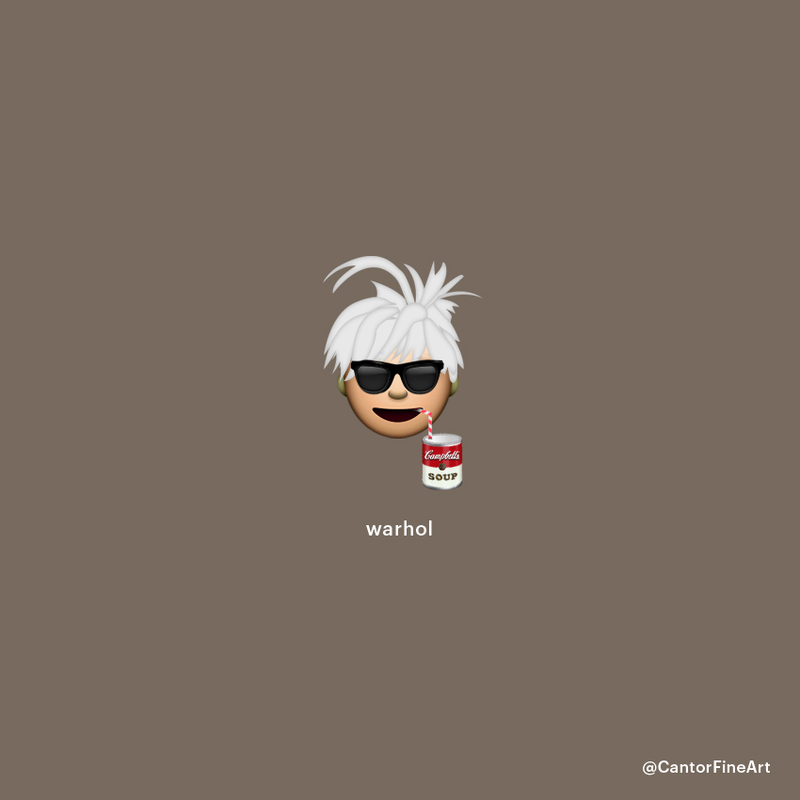 Andy Warhol | Art Emoji © Cantor Fine Art, Los Angeles. Andy Warhol's Campbell's Soup Cans © Cantor Fine Art, Los Angeles. 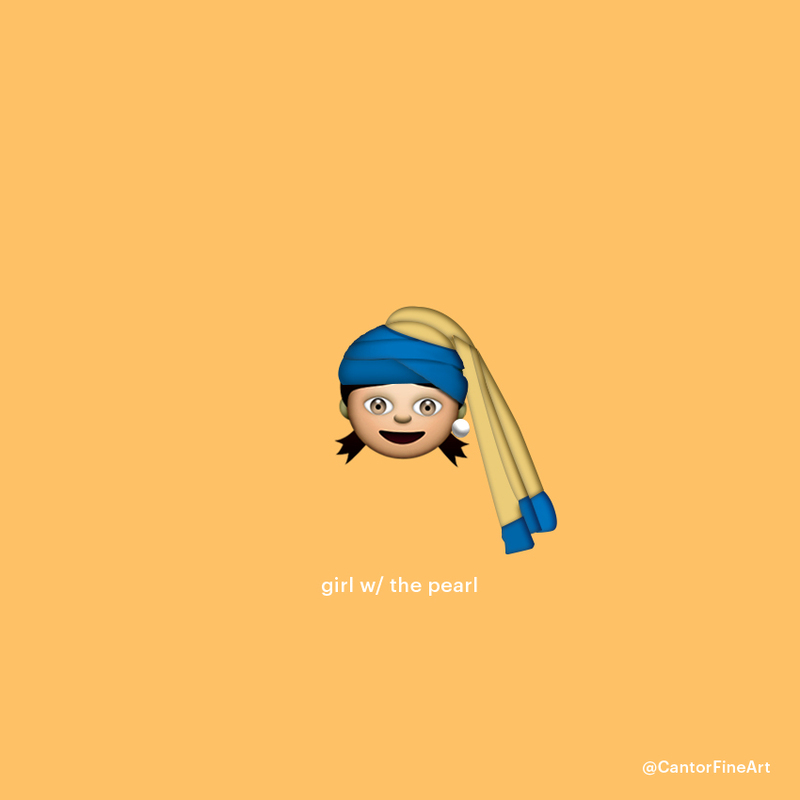 Girl with a Pearl Earring | Johannes Vermeer | Art Emoji © Cantor Fine Art, Los Angeles. 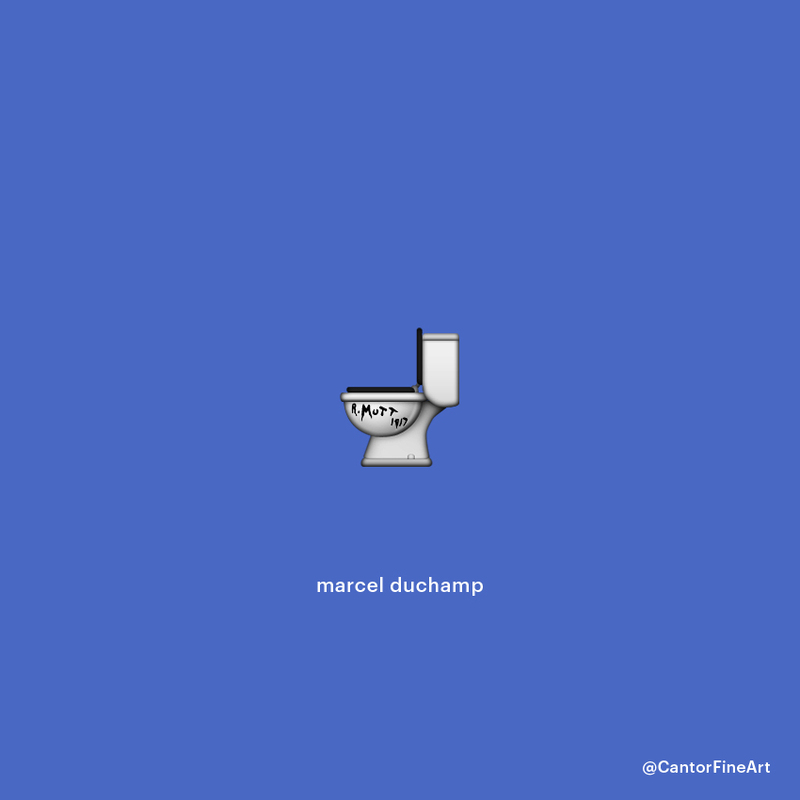 Marcel Duchamp | Art Emoji © Cantor Fine Art, Los Angeles. Jackson Pollock | Art Emoji © Cantor Fine Art, Los Angeles. Salvador Dali | Art Emoji © Cantor Fine Art, Los Angeles. 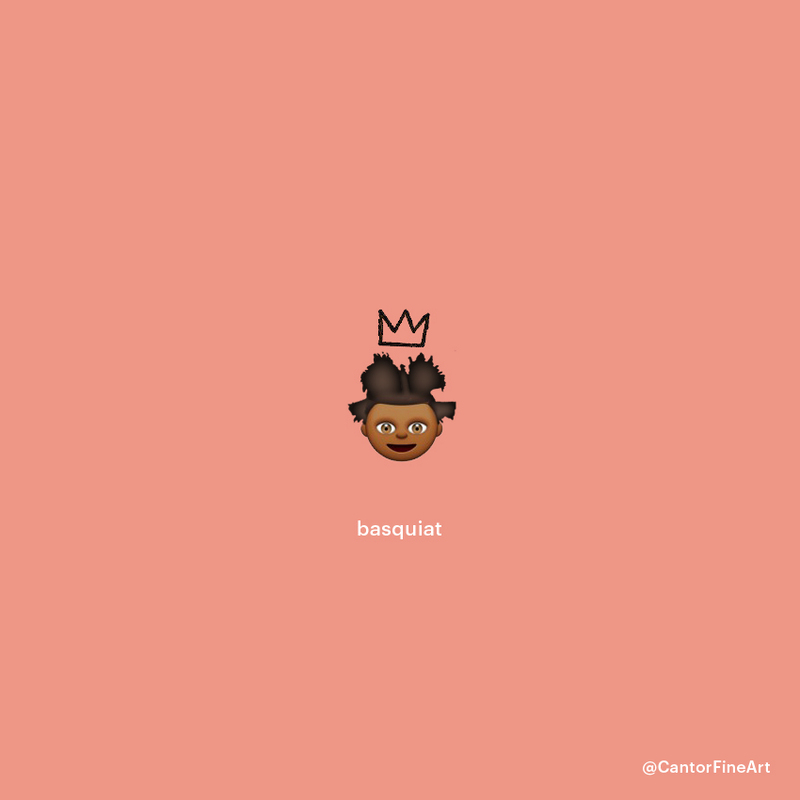 Jean-Michel Basquiat | Art Emoji © Cantor Fine Art, Los Angeles. 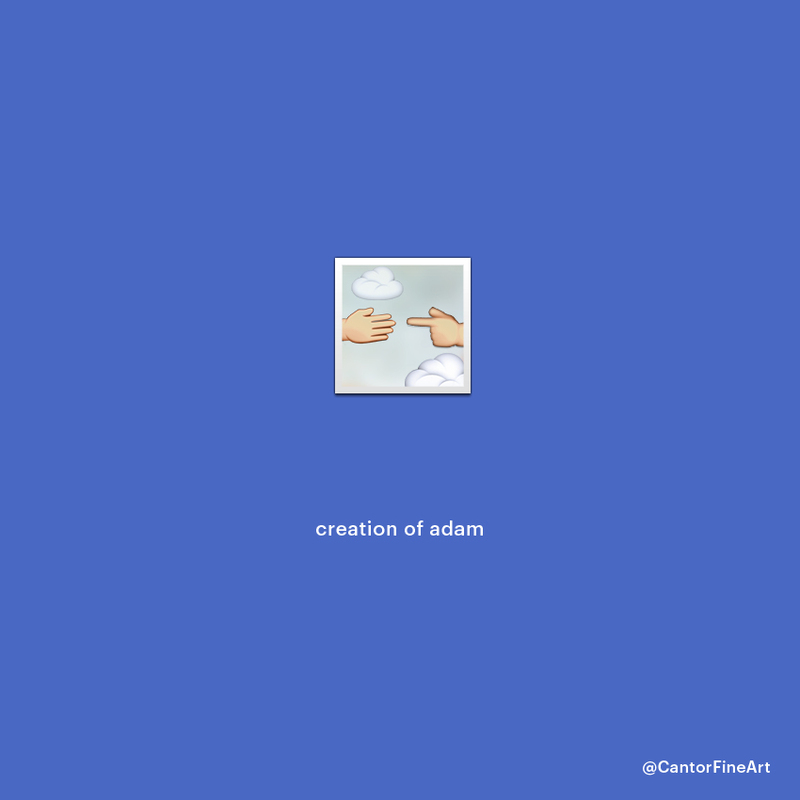 The Creation of Adam | Michelangelo | Art Emoji © Cantor Fine Art, Los Angeles. 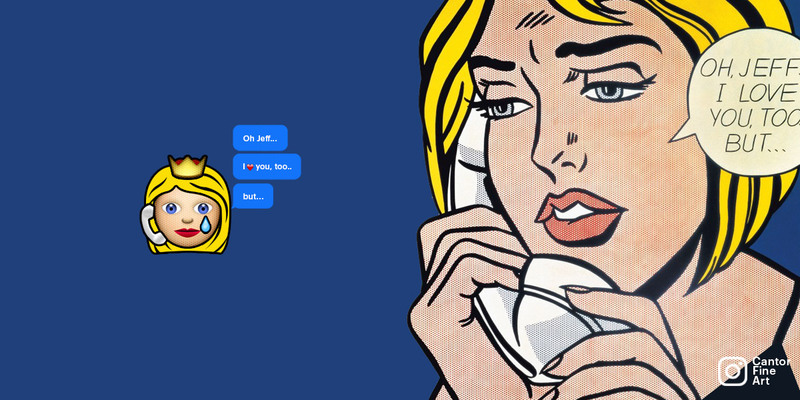 Roy Lichtenstein| Art Emoji © Cantor Fine Art, Los Angeles. 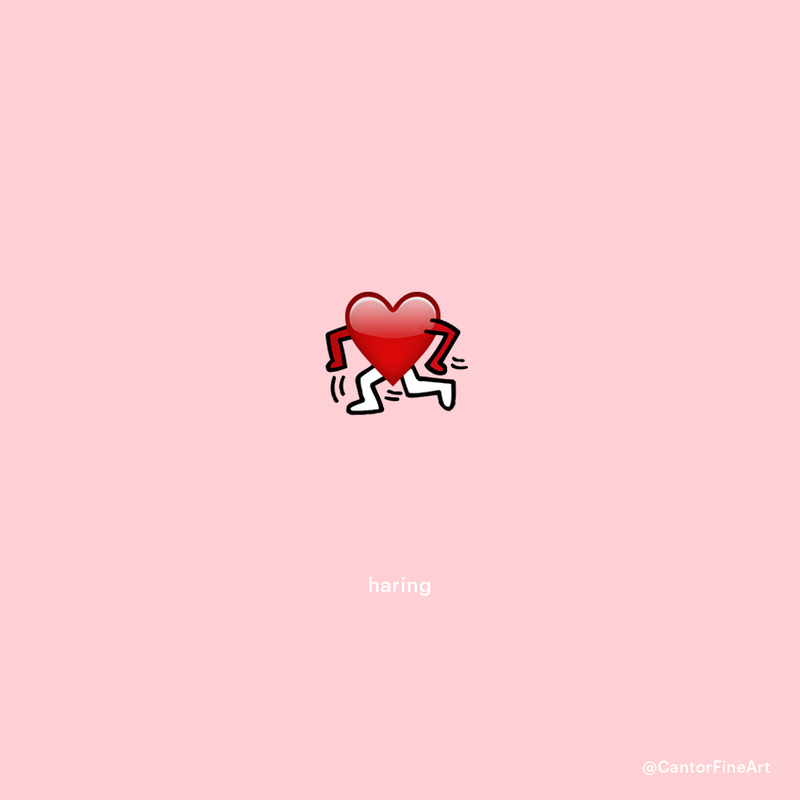 Keith Haring | Art Emoji © Cantor Fine Art, Los Angeles. James Turrell | Art Emoji © Cantor Fine Art, Los Angeles. Yayoi Kusama | Art Emoji © Cantor Fine Art, Los Angeles. 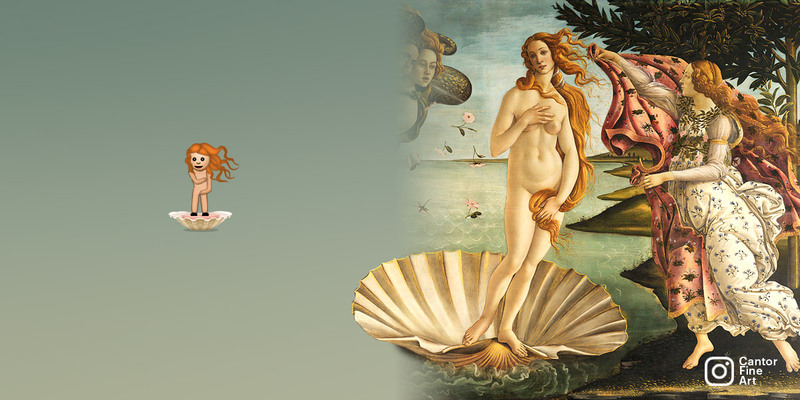 The Birth of Venus | Sandro Botticelli | Art Emoji © Cantor Fine Art, Los Angeles.